Thunderstorms. A few storms may be severe. High 71F. Winds E at 10 to 15 mph. Chance of rain 100%. 1 to 2 inches of rain expected..
Thunderstorms in the evening will give way to partly cloudy skies overnight. Low 59F. Winds NNW at 10 to 15 mph. Chance of rain 80%. 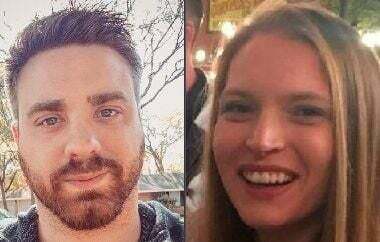 Michael Swearingin, 32, and Jenna Scott, 28, went missing in early January, and were later found dead in Oklahoma. Cedric Marks trains at Title Boxing Club in Killeen in 2014. Maya Maxwell told police she was in a Killeen residence with Cedric Marks when he reportedly took Michael Swearingin and Jenna Scott into separate rooms, she said. Then she heard a struggle when Marks went into each room and they were dead. Maxwell was also with Marks when the bodies were driven to rural Oklahoma and when they were left in shallow graves, the affidavit said. Swearingin and Scott died on or about Jan. 3 in Killeen, the arrest affidavit said. 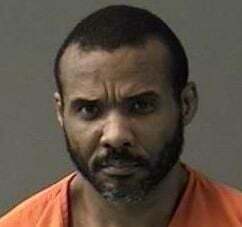 Bell County law enforcement officials elected not to put Cedric Marks, 44, of Killeen back in the custody of a transport service after he was captured nine hours after an escape in Conroe, County Maj. T.J. Cruz told the FME News Service on Monday. Marks escaped from Texas Prisoner Transportation Services early Sunday morning and was captured nine hours later after an extensive manhunt. Bell County deputies and the U.S. Marshals Lone Star Task Force went to Conroe to bring Marks back to the Bell County Jail, Cruz said. Marks faces multiple charges of capital murder, burglary of a habitation with intent to commit another felony and several misdemeanor charges. Marks is charged with the January homicides of 28-year-old Jenna Scott and 32-year-old Michael Swearingin, both Temple residents. Cruz and the Bell County Sheriff’s Department learned about Marks’ escape at about 8 a.m. — about 40 minutes after he got out of the transport van. Marks was booked into the local jail at 11:07 p.m., according to jail records. A capital murder warrant was issued early Sunday morning by Bell County Justice of the Peace David Barfield after Marks’ escape from the transport company. The warrant was filed by the Temple Police Department — not the Texas Rangers, Temple Police Cpl. Shawana Neely said Monday. The warrant originally was planned to be served on Marks once he was in Bell County custody. The investigation into the disappearances of two Temple friends was done by Temple Police, and the case was presented to the District Attorney’s office. Since Marks escaped in Montgomery County, any escape charge would probably be filed against him there — not in Bell County — according to Cruz. Marks’ bonds totaled $1,766,500 Monday after he was arraigned by Barfield. Warrants were issued early Sunday by the Temple Police Department, but not until after Marks’ escape. He also has misdemeanor charges filed against him — interference with emergency call, false report to police officer and violation of protective order with bias/prejudice. The misdemeanor charges stemmed from the alleged burglary of Scott’s home in August. Bell County is a “closed county,” Cheyenne Shafer, owner of I’ll Get U Out Bail Bonds, said Monday. The only ones approved to operate in Bell County are through the Bell County Bail Bond Board, so no out-of-state companies can provide Marks’ bonds, she said. “And no Bell County bonding company will touch it because of his escape record,” Shafer added. However, if someone has the full amount in cash — $1,766,500 — Marks could get out of jail, Shafer said. No attorney was listed Monday for Marks, Bell County Chief Deputy Chuck Cox said. Temple Police Chief Floyd Mitchell had no comments about the manhunt or the charges against Marks, Neely said. Scott’s father, Jonathan Scott, said his family left the area Sunday. He predicted Marks would escape. “Law enforcement grossly underestimated Marks’ ability,” Jonathan Scott said. He also said he was worried that underestimation might cost more innocent lives before Marks was stopped. Deborah Harrison, Swearingin’s mother, said she had some protection at her home and Temple Police Department didn’t provide any officers to protect family. “Amen,” was what Harrison said when Marks was caught. Conroe Police Chief Jeff Christy said during a late afternoon press conference Sunday a total of 17 local, state and federal law enforcement agencies helped in the manhunt for Marks. The Montgomery County Sheriff’s office and Conroe Police received the call about Marks’ escape at 7:20 a.m. Investigators learned two guards and 10 prisoners were in the van when it stopped for food at McDonald’s, located in the 800 block of North Loop 336. Although it hasn’t yet been explained how, Marks escaped the van and ran. Officers surrounded the area and began a search, along with K-9 units. New surveillance video surfaced, and it resulted in the switch to a grid search in the original escape location. Marks was found in a 55-gallon trash can in the backyard of a home in the 1000 block of Windswept, and Christy said he’d probably been there the entire time.